After several classes with Lyric, I was excited to get her new dvd It is excellent and the bonus is doing the blog hop to visit many artists’s sites that I might not have seen otherwise. I took a printing workshop recently and am anxious to do more. I think this dvd would be fantastic inspiration! I would LOVE to win a copy of Lyric’s DVD! I have some of her screens, including a couple of my own designs, and found them to be very easy to use. Thanks for the great review, Melly! Gorgeous! Every time I see what can be done with Thermofax screens I think, “I’ve got to get me one of these”! I think it’s time and Lyric’s DVD will be very helpful. Lyric is such a good teacher. I would love to have a copy of her Thermofax DVD. Thanks for the great review! I look forward to seeing Lyric’s DVD! Thank-you for participating in this give away. Sounds like a great DVD, I’m putting it on my wish list! it appears that there is still much for me to learn. Sounds like this DVD will be a good one to have. I love the fresh interpretation of dots you made, and of course, the use of dye! 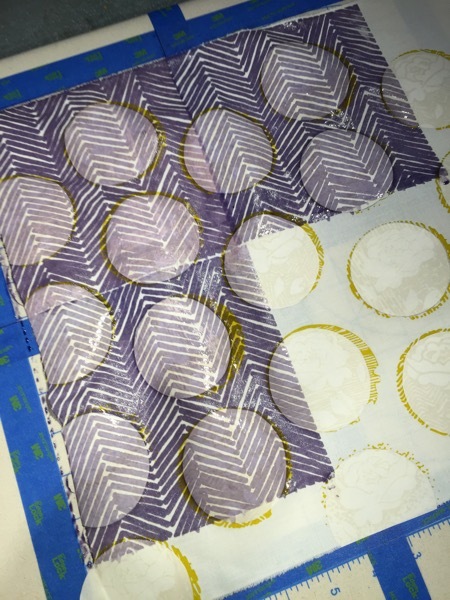 I am just beginning to screen print and love Lyric’s style. 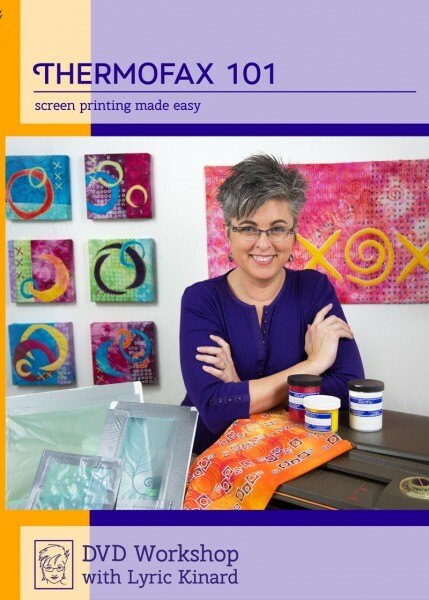 I have Lyric’s workshop with Quilting Arts Magazine and her book, and she’s an excellent teacher, so this DVD would be a very welcome addition! Now I only wish someone a bit closer to home would start making Thermofax screens, because at the moment I find the cost a bit overwhelming, if I want to order more than just the odd screen. These screens have the same effect on me as commercial stamps and stencils: I start fretting about how much I will have to use it in order to justify the expense, and become paralysed. Which is a shame, becuse there is so much creative potential in these screens! I’d love to have her DVD. I do some screen printing but would love to develop it and even get more screens done. I have bought a couple of screens from Lyric’s service and would love to have the DVD. Thanks for the opportunity. I really like your idea of using thickened dyes. I have only used thermofax screens a few times and found the fabric paint I used just didn’t seem to want to leave completely when I cleaned them. Will give dyes a try. Thanks! Looks like a fantastic DVD. thanks for the review and the chance to win. I’d love to win this DD, of course !!! 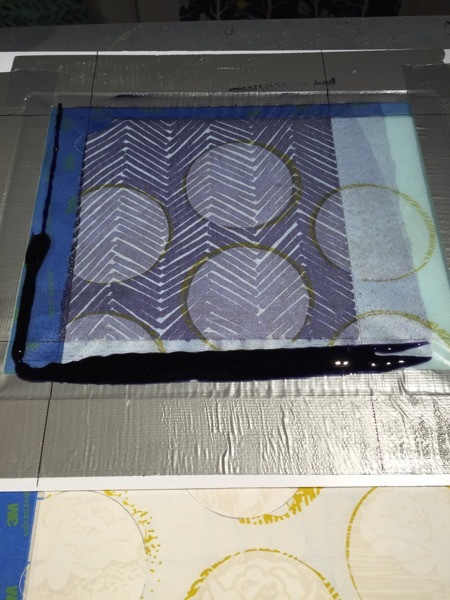 i’d love to learn screenprinting, it’s on my wishlist and i think this will open to so many new possibilities! 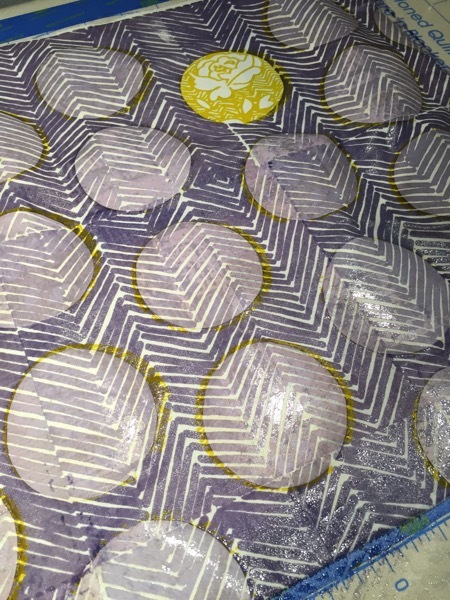 You have convinced me to try screenprinting — something I’ve never thought of doing before. 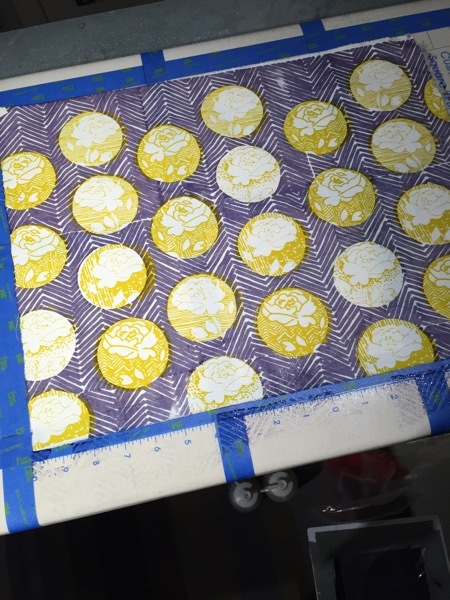 Screenprinting sounds like so much fun. Thanks for the DVD review and the chance to win. I am intrigued by this method, and the DVD seems like the ideal introduction to it! You introduced me to thickened Procion MX dyes at QSDS a couple of years ago, and now I am addicted! I am so enjoying all the different ways you can use them. Lyric spoke at our Quilter’s Anonymous Quilt Guild in Seattle. A delightful person, presenter and instructor. Her workshop gave me the spurt needed. I would love to have this DVD. BTW, I enjoy your blog as well! Hi Melanie ! Lyric’s DVD sounds like it would be sooo much to get my hands on and learn something new ! I would love to see Lyric’s video – I’m just learning about screen printing, and her approach sounds like a good fit for me!